Five years prior to the release of this set, Topps released a previous evolution set. An astonishing set to say the least, the 2006 updated Topps Star Wars Evolution common cards with their foil backgrounds look more like chase cards and in fact it can be difficult at first glance to see the difference. Like the original 2001 set, this 2nd set also includes variations of the chase cards referred to as A, B, and in this set, an additional C, D, and E level. 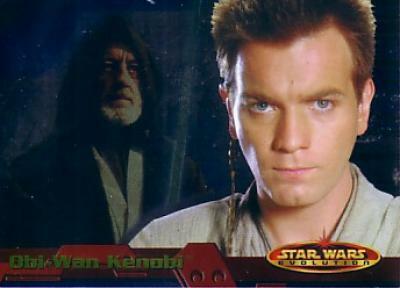 Many of these cards suffered damage during the cutting process resulting in a lot of chipping taking place on the edges, similar to that seen in the 2002 Attack of the Clones cards. Additionally, and sadly, most of the autograph cards seemed to suffer some sort of punching error near the bottom of the cards.